Greater Fort Lauderdale CVBGreater Fort Lauderdale CVB	Create a cool bus shelter that turns commuters from cold to hot, on the spot. 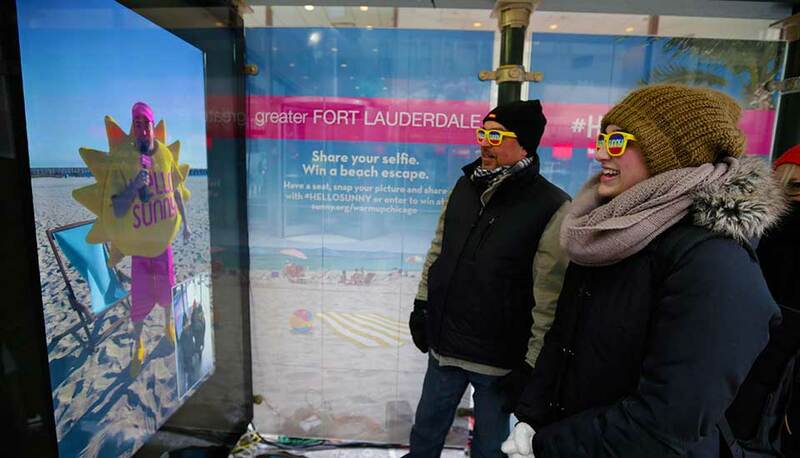 Starmark helped Greater Fort Lauderdale Convention & Visitors Bureau warm up Boston and Chicago this winter by beaming the beach into first-ever, live-broadcast interactive bus-shelter consumer activations, to bring a little #HelloSunny to some unsuspecting commuters in Boston and Chicago. 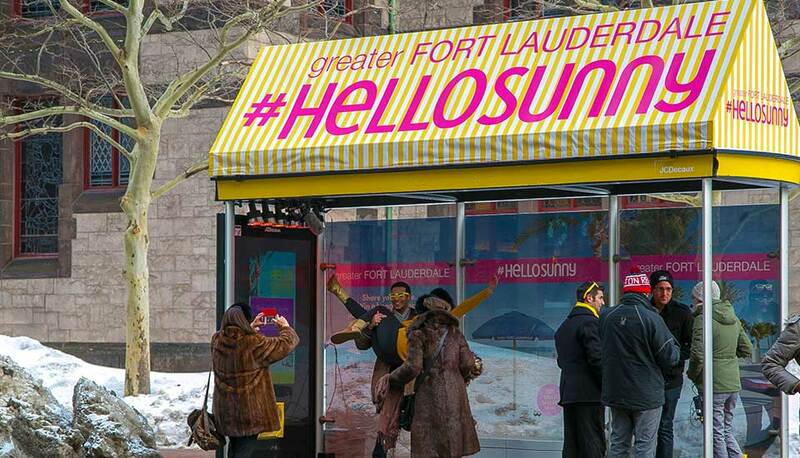 Transforming street corners into bright yellow “Hello Sunny” branded beach cabanas replete with heat lamps, custom-made benches designed to mimic the Fort Lauderdale Beach Wave Wall, and a digital monitor; the four-week live-activation campaign allowed for two-way communication via satellite broadcast between “Mr. Sunny,” swimsuit-clad models and Nicki E. Grossman, president of the Greater Fort Lauderdale Convention &Visitors Bureau — who were all live on the beach under bright blue skies. 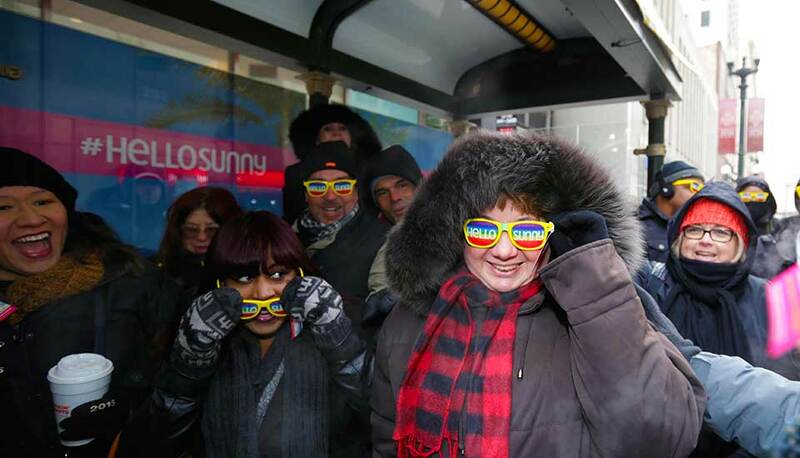 Inside the bus shelters, commuters were encouraged to take “selfies” with Mr. 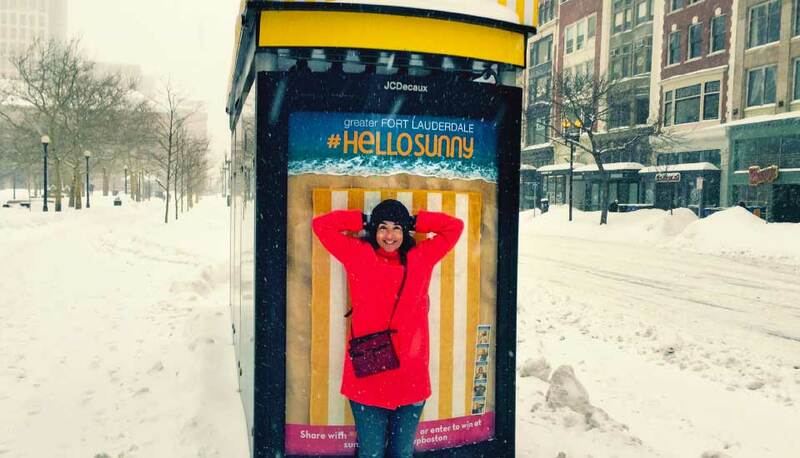 Sunny and share them with #HelloSunny to be entered to win a beach escape. Those who interacted with Mr. 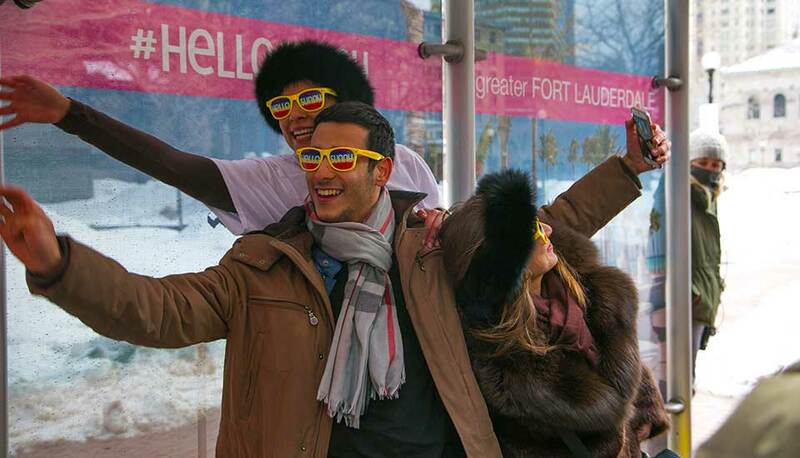 Sunny received free Hello Sunny beach swag, and six free trips to Greater Fort Lauderdale were given away on the spot! Additionally, radio remotes aired live coverage and street teams were on hand to engage passersby.